RENO,NV APRIL 12, 2010: VORRA is the only organization to offer both short course and desert racing, and will have its second short course race of the eight round series this weekend April 17-18, 2010 at the Prairie City OHV Park in Folsom, California. “Last month we introduced some exciting changes and I am looking forward to putting the cars, trucks, UTV’s and ATV’s back out on the new land rush starting grid,” said race promoter Wes Harbor. The 6-lap, 3-moto combination gives the drivers more opportunity to earn a podium position and the crowd a lot more racing to watch. The action was intense at the last round of Short Course racing. 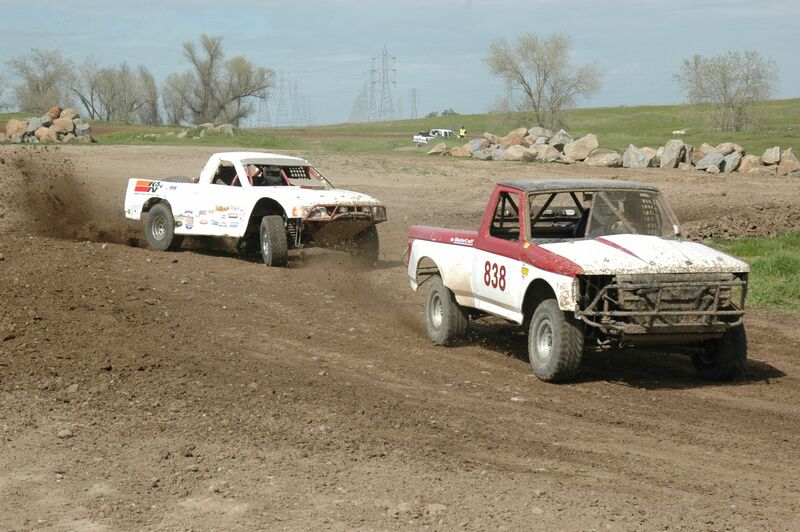 The ATV’s raced a brand new track on Saturday and the Cars and Trucks took to the high speed course on Sunday. “We are going to use the same course for this round, but I’m planning to groom it a little and widen some areas for more passing opportunities,” said Harbor. The grudge matches between drivers will be back on the dirt this weekend and racers should find those passing lanes very helpful. In the last round of action, Sam Berri walked away with the Class 1 win, but not without some good action with Mike Lenhers and Steve Sullivan. The class that had people on their feet with 3 extremely close finishes was the new Ultra4 class where Brad Falin brought out his 4wheel drive car and gave Kevin Yoder and Jason Scherer a run for their money. The Group T class also produced multiple lead changes, but after the three motos Ben Phillips came out on top over Mike Koenig and Gerry Mannion. This weeks line up is just as strong, and there is word that there is a VW Bug invasion on the horizon with a large contingent showing up for Class 11 to compete with Gary Herrod and Richard Palaski. Class 7 and Class 9 will have the Mother, Daughter Keller team back on the track and the Sportsman Contingent will continue to show strong numbers and battles. The UTV’s, Pilots and Karts will also have more vehicles taking on the big track and pushing the machines limits. VORRA is in its 35th year of producing high quality, yet family affordable racing. These short course races are a great opportunity to bring your car out to race, and your family to enjoy a nice Northern California Spring day. Gate fee is only $10, Juniors 8-14 $5 and 7-under free. The Next VORRA race will be a 300 mile desert race in Yerington, NV.